We just learned about the Knee Ligaments. 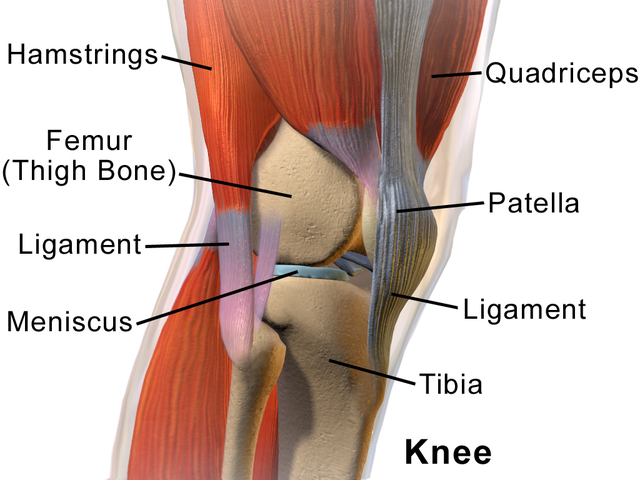 Another important connective tissue is the meniscus in the knee. When you have more than one meniscus, it is called menisci. The meniscus is like the rubber padding on your tibia where your fibula touches so it does not hit the other bone. The two menisci in the knee are the medial and lateral meniscus. Medial means closer to the middle of the body, and lateral means further from the middle of the body. So the medial meniscus is on the inside part of your leg, and the lateral meniscus is on the outside part of your leg.